Majestic Hotel is a charming hotel located in the very center of Dubai, surrounded by the true culture of the city. 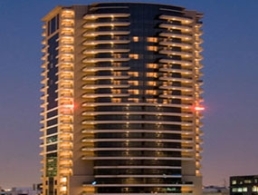 Boasting 252 rooms and suites over 28 floors the hotel offers a magnificent view of the skyline. Guests will find that at Majestic Hotel they enjoy five star quality at four star value. Majestic Hotel is highly stylish with warm tones in marble and wood, fine furnishings, impressive paintings, fashionable deluxe rooms, luxurious suites and spacious bathrooms, some available with jacuzzi sized bathtub. Whether for business or pleasure, or a bit of both, Majestic Hotel is designed to help guests make the most of their stay.